^ Richards, George E. The Last Boy Scout: Eliot Ness' Tenure as Cleveland, Ohio's Public Safety Director (PDF). International Journal of Humanities and Social Science. 2011, 1 (12): 14–21. Ness, Eliot; Fraley, Oscar. The Untouchables. Julian Messner. 1957. Heimel, Paul W. Eliot Ness: The Real Story. Knox Books. 1996. ISBN 978-0965582407. Rasmussen, William T. Corroborating Evidence . Sunstone Press. 2006. ISBN 0-86534-536-8. Badal, James Jessen. In the Wake of the Butcher: Cleveland's Torso Murders. The Kent State University Press. 2001. ISBN 0-87338-689-2. Perry, Douglas. 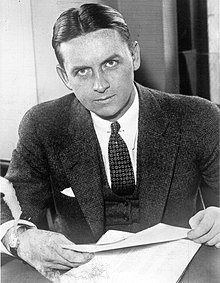 Eliot Ness: The Rise and Fall of an American Hero. Viking Penguin. 2014. ISBN 978-0-670-02588-6.